Everyone's cell phone has an “organizer” and many have an alarm. It only takes seconds to type in a forgotten grocery/shopping item that comes to mind during the day, and setting the alarm to go off before your trip to walmart reminds you to check the list and get your coupons together. Here's an amazing guilt-free swap you can make in your own home. Save time, money and calories with this awesome recipe! 2/3 cup frozen strawberries (just plain- NOT in syrup! )5 oz. light vanilla soy milk2 tsp. Fat Free French Vanilla Coffee-mate powder (dissolved in an oz of warm water)1 oz. Sugar Free Torani Strawberry Syrup3 Splenda packets3 large ice cubes2 tbsp. Fat Free Reddi-WhipPlace all of the ingredients in blender, except for the whipped cream. Blend on high speed for 30-45 seconds. Pour, and top with Fat Free Reddi-Wip. Strawberrylicious! Special thanks to my precious friend Cindy Berry for this. Her husband is a pastor and here is their church website. Check it out. Get up on time so you can start the day unhurried. Separate worries from concerns ... If a situation is a concern, find out what God would have you do and let go of the anxiety . If you can't do anything about a situation, forget it. 1. Preheat oven to 400°F. In a small bowl, stir together sour cream, Cool Whip-like stuff, vanilla, and 1/8 teaspoon cinnamon. Cover and chill while preparing tortillas. 2. Lightly brush both sides of each tortilla with melted butter. In a small bowl, stir together sugar and 1/8 teaspoon cinnamon; sprinkle over tortillas. Cut each tortilla into 8 wedges; arrange on two ungreased baking sheets. Bake for 8 to 10 minutes or until crisp. Cool completely. 3. To serve, divide tortilla wedges among six dessert plates. Top with raspberries, blackberries, strawberries, blueberries, or any combination thereof and sour cream mixture. Sprinkle with nuts and grated chocolate. Need a New Chicken Recipe. . .Look no further! Check out all of these chicken ideas! This site looks AWESOME. . .and parts of it are FREE! Look at the list down there! Looks awesome, huh? What does a 100 calorie snack look like? Click here and take a little quiz. . . I didn't do so hot on this one. Weight Watchers has some great ideas here! Heat oven to 450ºF. Grease 12-inch pizza pan. Stir together biscuit mix and very hot water; beat 20 strokes until soft dough forms. Press dough in pizza pan. Spread pizza sauce over dough. Top with remaining ingredients.Bake 12 to 15 minutes or until crust is golden brown and cheese is bubbly. Have you seen the sister site? Andrea's Blog-O-Rama is a blast. The point of a menu is to see in advance what you are going to need for the week. this allows you to calculate, almost to the dollar, what you will spend. You can adjust your menu according to the amount of money you have left in the food budget each month. Some buy weekly, some bi-weekly, some monthly. I have never personally been able to do the monthly thing. It is just a bit too far ahead for us. I am usually somewhere in the bi-monthly area! Here are some "menu" standards that seem simple, but some of this was an "A-HA" moment for me. Do I follow this to the letter? NO. Do I eat out more than I want to? YES. Keep recipes for quick, frugal meals, in a 4x6 cheap-o plastic covered photo album in your glove box or other storage hole in your vehicle. If you are in dire need of a super-quick meal and have nothing at home to cook, pull out the recipes and head into Food Lion, armed with the list (the recipe) and your coupons, if you have your binder in the van too. You will most likely still spend less than you would if you got take-out for your family. Slice kiwi into 1/4 inch thick slices, then use a cookie cutter (heart or star shaped) to cut out the middles. Cut (heart or star) shapes from 1/4 inch melon slices and fit the melon shape into the opening of the kiwi.AWWWW. How cute! Since this quick-and-easy cheesecake makes 8 servings, it's a great recipe to serve at your next gathering. Sprinkle with 1/4 cup toasted slivered almonds before serving. 2 cans (6 oz. each) light tuna in water, drained, flaked 1 pkg. (6 oz.) Stuffing Mix for Chicken 1 cup Shredded Mild Cheddar Cheese 1/2 cup shredded carrots 1/3 cup Mayonnaise 2 Tbsp. Sweet Pickle Relish 3/4 cup water MIX all ingredients. Cover and refrigerate 10 min. HEAT large nonstick skillet sprayed with cooking spray on medium heat. For each tuna cake, shape 1/3 cup lightly packed tuna mixture into patty. Add patties to skillet in batches. COOK 3 min. on each side or until golden brown on both sides, turning over carefully. Save 60 calories and 8 grams of fat per serving by preparing as directed with Shredded Reduced Fat Cheddar Cheese and Light Mayonnaise. Substitute 1 cup Shredded Mozzarella Cheese, 1/2 cup chopped green onions and 1 Tbsp. lemon juice for the Cheddar cheese, carrots and pickle relish. Shape patties as directed; cover and refrigerate at least 1 hour to help firm them up before cooking. 1 can (10 3/4 ounces) Condensed Cream of Chicken or Mushroom Soup 1/2 cup milk 1/4 tsp. ground black pepper 1 cup frozen mixed vegetables 2 cups cubed cooked chicken 2 cups medium egg noodles, cooked and drained 1/4 cup grated Parmesan cheese 1/2 cup shredded Cheddar cheese (about 2 ounces) Stir the soup, milk, black pepper, vegetables, chicken, noodles and Parmesan cheese in a 1 1/2-quart casserole dish. Bake at 400°F. for 25 minutes or until the vegetables are tender. Stir the chicken mixture. Top with the Cheddar cheese.Golden Onion Chicken & Noodle Casserole: Substitute 1/2 cup crushed french fried onions for the Cheddar cheese. Twisty Hearty Chicken Casserole: Substitute 2 cups cooked corkscrew-shaped pasta for the egg noodles. Pour the entire can (liquid and all) int0 a small sauce pan (make sure you have a snug-fitting lid). Splash a little canola oil (or whatever you have) into the beans. Shake a bit of pepper. Throw in a spoonful of bacon (bits, chunks, chopped up, etc.) or a wee-bit of ham. Walah....greenie beenies a la Andrea. Stay with me here. . .I know what you're thinking--"Onion Chicken????" Dip chicken in the egtg, then coat in onion crumbs. Bake 20 minutes at 400 degrees until cooked through. I would probably also do some buttered noodles or rice with this. 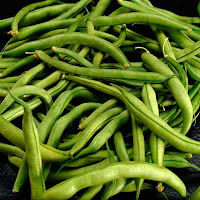 Make green beans how ever your family enjoys them. Pour the entire can (liquid and all) int0 a small sauce pan (make sure you have a snug-fitting lid).Splash a little canola oil into the beans.Shake a bit of pepper.Throw in a spoonful of bacon (bits, chunks, chopped up, etc.) or a wee-bit of ham.Put the lid on.Cook on medium heat for about the same amount of time it takes to cook the chicken.Walah....greenie beenies. Drain a can of chopped green chilies and mix with ground beef. Grill/Cook as usual. Top with Jack cheese. Serve on buns with Salsa.Steamfresh Corn on the Cob. Lots of variations here. Use your imagination and whatever you have in the pantry. Prepare enough canned Vegetable Soup for your family. While it is warming. . .
Line bottom of a small Bar Pan with 8 1/2 X 10-in. piece of Parchment Paper. Combine butterscotch morsels and half of the frosting in small saucepan. Stir over low heat until melted and smooth. Add pecans, stirring to coat evenly. Spread butterscotch mixture evenly over Parchment Paper. Reserve 1/2 cup (125 mL) of the chopped chocolate for garnish. In same saucepan, combine remaining chocolate and remaining frosting. Stir over low heat until melted and smooth. Carefully pour chocolate mixture over butterscotch layer in bar pan; spread evenly. Refrigerate 10-15 minutes or until set. FEELING FOGGY? If you're finding it hard to concentrate and feel like your mind is a pile of goo, you may want to snack on some protein-rich foods. Foods like cheese, soy products and lean meat are great for making you feel alert, energized and ready to take on the day. So if your brain's feeling a bit foggy, just nibble on some low-cal string cheese, a veggie burger, or some lean skinless chicken or turkey breast. You may be thinking more clearly in no time. Germ-Free Food. . .Can We Fix It? Yes, We Can! Have one for meat and the other for vegetables. Wash them thoroughly after each use. Avoid wood boards, which may harbor organisms from meat, even after washing them. Use a scrub brush on fruits and vegetables with skin such as potatoes, cantaloupes and yams. Even if you're not eating the skin, washing will prevent bacteria from seeping in when you cut the skin. Toss the outer leaves of a head of lettuce, then rinse the ones you use. It's also best to wash those that are labeled pre-washed. Don't let kids lick the cake batter or cookie dough because it contains raw eggs, which can harbor bacteria. Store foods with mayonnaise in the fridge until you're ready to serve, then put them away within two hours. You can also try placing the serving dish in an ice-filled container. Click here to print a pocket-sized Serving Size Card. It is interesting to see how much I am overeating, based on these sizes. . .
1. Preheat oven to 350°F. For a soft-sided loaf that is crusty on top, line a 9-by-5-inch loaf pan with waxed paper. If you prefer the meatloaf crusty all the way around, line a baking sheet instead. 2. Fry onion in oil until softened and golden, about 4 minutes. 3. In a bowl, mix beef, pork, Worcestershire sauce (if using) garlic, bread crumbs, thyme, parsley, ketchup and tomato puree. Season with salt and pepper. Stir in beaten egg to bind. 4. Transfer mixture to prepared pan or shape into a loaf roughly 9 inches by 5 inches on baking sheet. 5. Bake until browned on top and sides are beginning to shrink away from pan, 1 hour to 1 hour and 15 minutes. 1. Preheat oven to 450°F and place a rack in top third of oven. 2. Put the bacon fat in a large cast-iron skillet or a 9-inch baking pan and place in oven. 3. Mix cornmeal, sugar, baking powder, baking soda and salt in a large bowl. 4. In a separate bowl, whisk together eggs and buttermilk; add to cornmeal mixture. Beat until smooth. 5. Pour batter into hot pan. Bake until top is browned and center springs back when gently pressed, 20 minutes. Cut into wedges and serve hot. 1/2 cup white sugarDirectionsHeat sugars, syrup, and peanut butter in a heavy pan until smooth.Mix cornflakes, chips, and peanuts in a buttered 9x13 pan.Pour peanut butter mixture over all and mix. Press gently into pan.Allow to cool and cut into bars. Makes 18 bars. It happens to every cook sooner or later: You're in the middle of a recipe when you realize you're out of a key ingredient. Don't panic! Check this handy chart for a quick solution! Click here for a good article about cooking inexpensive cuts of beef. Andrea, Here's a great website with free recipes, info, etc. You can also subscribe to a free quarterly magazine. I get it and I really enjoy it. Click here for Kraft Kitchens Website. Dissolve the yeast in the water. Add the rest of the ingredients in and mix.Dump onto a floured surface.Knead into a smooth dough (five minutes or so).Roll out and press down onto a greased pizza pan. Mix the above ingredients just until combined. 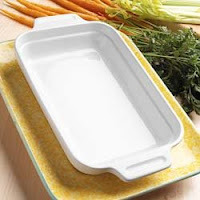 Press into a greased 9 x 13" baking pan, preferably glass.1 - 8 oz. package cream cheese (I use light) 1 stick butter, melted 2 eggs (or egg substitute) 1 lb. box powdered sugar (or 4 cups)Mix the above with a mixer until light and fluffy, and pour over top of first mixture.1/2 to 3/4 cup chopped pecansSprinkle pecans over top. Bake at 325 degrees for 50 to 60 minutes. The bottom should be golden and the top turning golden, as well. Allow bars to cool before cutting. 1/2 cup butter2 eggs 1 18.5-ounce package yellow cake mix 2/3 cup quick cooking oats 1/2 cup finely chopped walnuts or chocolate chipsGranulated sugarPreheat oven to 375 F. Prepare baking sheets with non-stick spray or line them with parchment paper. In a large bowl, mix butter and eggs until light and fluffy. Stir in cake mix, quick oats, and walnuts. Roll dough into walnut-sized balls. Place cookies onto the prepared baking sheet, and flatten slightly with the bottom of a glass that has been buttered and dipped in granulated sugar. Bake for 8 to 10 minutes or until golden brown. Allow cookies to cool on baking sheet for 5 minutes before transferring to a wire rack to cool completely.Note: A tip on storing cake mix cookies: Depending on the type of cake mix you use, these cookies may dry out after two days. To prevent this, store them in an airtight container with a piece of bread. For some reason this keeps the cookies just as fresh and moist as can be. Preheat oven to 350 F. Pour cake mixes and pumpkin into a large bowl and mix well until fully incorporated. Stir in butterscotch chips. Drop by rounded spoonfuls onto a lightly greased cookie sheet. Bake 8-12 minutes. Cool 2 to 3 minutes on cookie sheet before removing to a rack to cool completely. Yield: 4 to 5 dozen cookies. Preheat oven to 350 F. Mix together cake mix, whipped topping, lemon zest and egg. The batter will be very sticky. Just be patient as you drop by teaspoonfuls into bowl of confectioners’ sugar and coat. Shape into balls. Bake for 12-14 minutes. Do not allow to brown. Best the second day provided they are stored in an airtight container once cooled. Yield: 36 cookies. 1 stick butter (the real thing, please)1 8 oz. block of cream cheeseGarlic pepper to tasteMelt these together on medium heat. Whisk or use a mixer until smooth. Add garlic pepper.2 cups liquid--I use 1-1/2 cup heavy cream and 1/2 cup water (Whole or skim milk work fine too! )Whisk in the liquid, stirring constantly. It will be thin.6-8 ounces of Parmesan cheeseI use the cheapest grated kind. (I have also grated fresh cheese myself for this recipe and couldn't really tell a difference.) Add cheese slowly to the liquid until blended. Turn heat to low and let cheese melt slowly. It will thicken upon standing off the heat. Welcome to Busy Moms CAN Cook! I hope to make this a simple site with a simple premise--fast and easy recipes that are appealing to the beginning cook, as well as the more advanced chef. Please feel free to comment and submit recipes of all sorts. I welcome entrees, side dishes, breads, vegetables, casseroles, and of course, desserts.